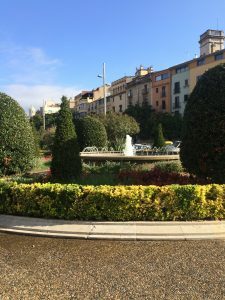 Located approximately 60 miles North West of Barcelona, Girona is the perfect day trip to take you away from the hustle and bustle of Barcelona. 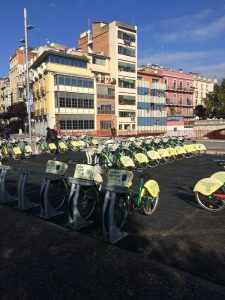 You can easily drive to Girona along the autopista or, catch a train from Sants Estació which takes 40 minutes to 1.5 hours depending on whether you take the fast train or a regular one. There is also a bus which departs from the centre of Barcelona and takes just over an hour to arrive in Girona. All options of travel are very economically priced. The train route to Girona is a very peaceful one, running parallel to the autopista, with views of mountains including the snow dusted Pyrenees and the Catalonian countryside on either side of the train. There are nowhere near as many cars in Girona as in Barcelona; the city is highly pedestrianized so do be prepared for a day of walking. There is the option to rent bikes although, as the city is perched on a hill I would advise against it unless you are used to cycling. 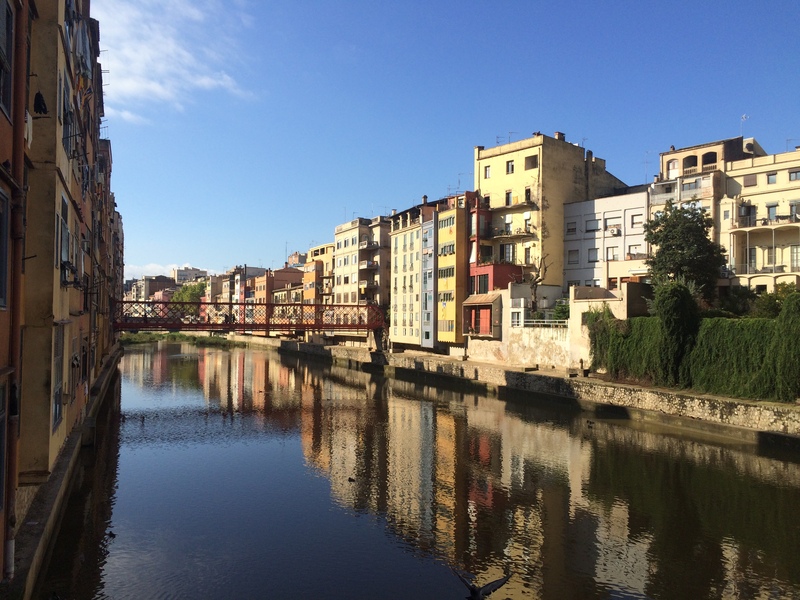 The first thing you will notice upon arriving in Girona is how much crisper and fresher the air is. The city is chillier than Barcelona and lacks its sticky humidity. A short walk towards the historic centre will take you past plenty of high street and independent shops as well as little market stalls. Once past the shopping streets, you will find yourself walking through the cobbled streets up towards the beautiful Catedral de Santa María de Gerona. Entry to the cathedral costs 7€ and it is well worth a visit to see the magnificent stain glass windows and plans of how the building has changed since construction commenced in the 11th century. Behind the cathedral there are enchanting gardens which you can wander around and towers to climb to get a bird’s-eye view of the city. 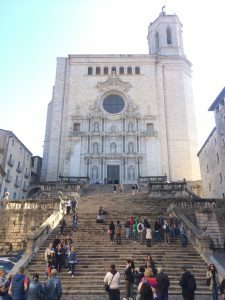 Girona also has a very prominent Jewish Quarter which is located within a maze of medieval streets, whilst wandering around the city you will often notice the decoration of the Star of David. You are able to visit the synagogue, the Jewish history museum and the Arab Baths. Finally, eating in Girona you can do very well, all restaurants advertise a ‘menu del día’ with prices ranging from 11-15 euros. There are also many bakeries selling freshly made sandwiches and pizzas. Depending on your itinerary you may only spend half a day waking around this enchanting city; if you have no intention of visiting the museums, half a day is more than enough. I highly recommend a trip as it offers a tranquil break from the business and congestion of Barcelona.